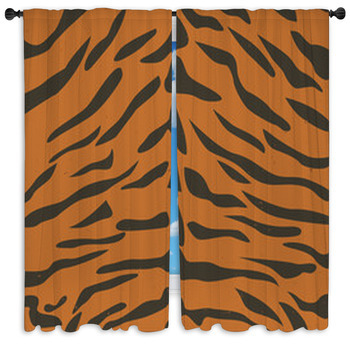 Bring a little of the jungle into your decor with tiger print window curtains. 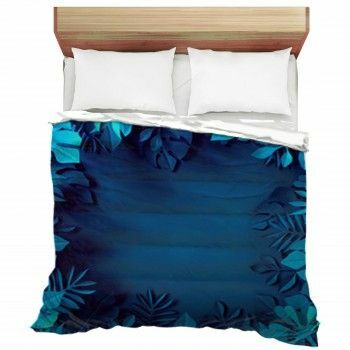 Turn it into seagulls flying in sunset skies or golden dunes of sand striped with shadows. 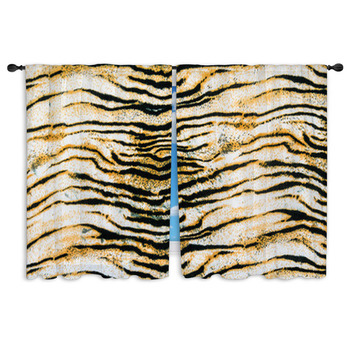 Leave picks and forks of beige against sage for a vaguely Oriental twist on tiger print. 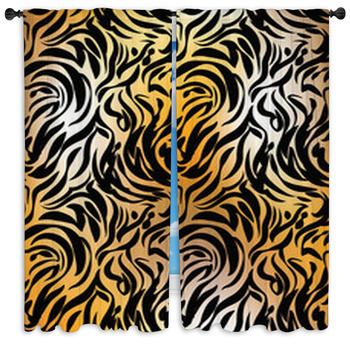 Drape mountain ridges with black and white tiger print, or break it up into a mural of flames licking at the window in orange and gold. 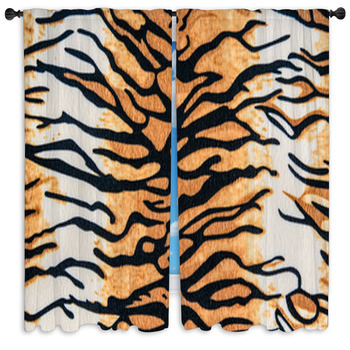 Whether you want it to ripple and shine like the Sahara in African oranges or leave curves of gold and black in a pure abstract, these custom size tiger print window curtains give you the stripes without the beast. 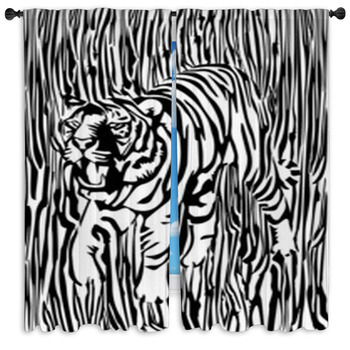 Leave the face of a Buddha in a ghostly silver trace behind tiger stripes of blue and black. Walk on dry pebbly earth. 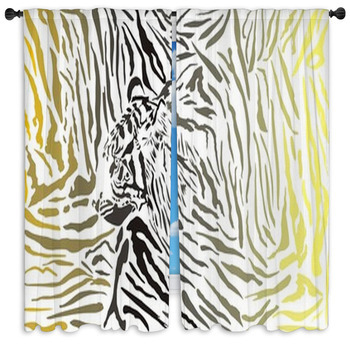 Put tiger print in pink with giraffe and leopard. 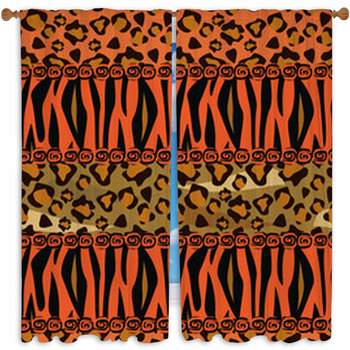 Put it around Dalmatian dots with raspberry cheetah patches. 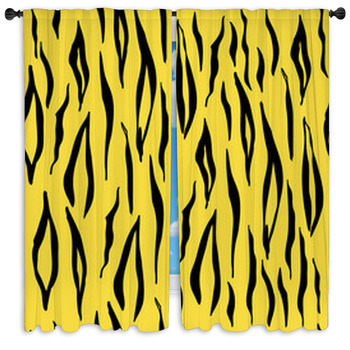 Leave a mask of black and gold reflected in tiger print window curtains. 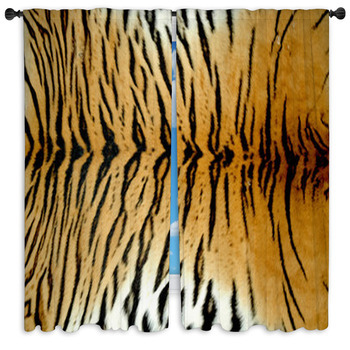 Put the actual belly of a tiger against your windows, soft caramel and white curved with black stripes. 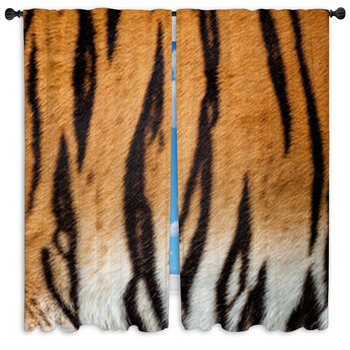 Drape your window with golden skies, black tree trunks curling against them in tiger stripes. 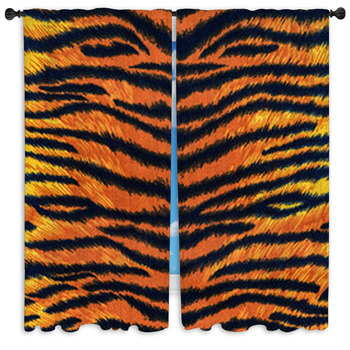 Bring bright purple to the mix or dangle curls of black down orange drapes in a warm glow. 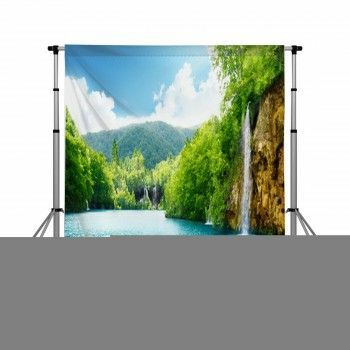 Walk the desert hills, sinking into shadowed valleys and climbing orange hills. 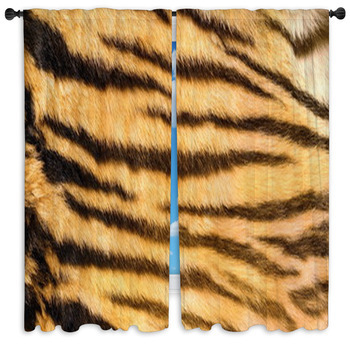 From warm, soft, fuchsia and black to snow-frosted rust hills, let these tiger print window curtains bring a roar of life to your decor.